Based in Japan, LINE Corporation is bringing together information, services and people. The LINE messaging app launched in June 2011 and since then has grown into a diverse, global ecosystem that includes AI technology, fintech and more. On August 15, LINE Corporation announced adding TRON (TRX) to BITBOX, LINE’s recently launched cryptocurrency exchange. 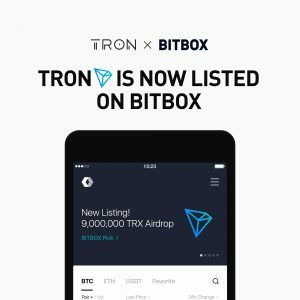 TRON (TRX) is the first coin project to pass the review process by the BITBOX open-listing committee. 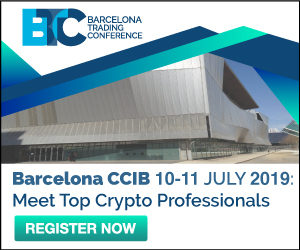 In addition, to celebrate TRON’s listing on BITBOX, 9 million TRON coins will be airdropped to users on BITBOX, in a promotional event running until August 22. LINE’s subsidiary unblock corporation recently established “unblock ventures ltd.,” a corporate token venture fund. Unblock ventures focuses on token investments and has a capital commitment of $10 million, made by LVC Corporation (another LINE group company). Additionally, unblock ventures’ token fund is expected to expand in the future, according to the growth of the blockchain market.